Declan McIver is a former member of the Black Shuck. "During the Soviet-Afghan war an elite team of operatives were trained in the mountains of Afghanistan. Loyal to the Provisional Irish Republican Army, they were created for a single purpose; to bring about the downfall of the entire British government in one terrifying attack. They were known only by their codename, Black Shuck. "In the years that followed—betrayed from within by the internal power struggles of the IRA—the team members were hunted down. Forced into a battle for their lives, three survived, fading into the turbulent streets of Northern Ireland. To this day, their identities remain a mystery— but nothing can stay hidden forever." Born and raised in Northern Ireland, McIver was present, though hidden, when his politically active parents were murdered by the Ulster Volunteer Force. Within a few years, McIver was old enough to join the IRA to vengeance for his parents' death, becoming a member of Black Shuck and training with a group of Soviet special forces operatives during that nation's fight in Afghanistan. Learning all the Spetsnaz had to teach him, he was ready to return to Belfast and make use of his new skills. It did not take long, though, for McIver to see other pieces of the IRA move away from the goal of unity in Ireland and aim more for personal power and advancement. The killing he saw that did not serve the correct purpose caused him to flee to America for a new life. He was helped in the fresh start by an Israeli agent who had saved his life in Belfast and whose life he was able to save when he overheard a scheme by Islamic terrorists and decided he could not just let it happen. When considerable trouble and danger he was able to thwart the plan and save his friend. In return he was offered a job as part of that man's protection detail and for the next few years he happy served in that capacity. Wanting more from life, he parted company on good terms and started afresh elsewhere in the States becoming a fairly successful real estate developer. He found a woman to share his life and he was happy and content. Then trouble came to call. To help you not be confused like I was when I started the first book, that volume has four different tales, only one of which has Declan McIver in the plot, but all involved in the overall story that is McIver. 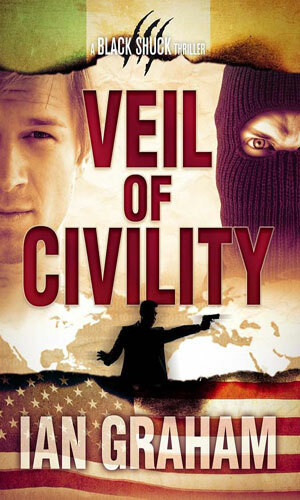 Much of the action of the series deals with an Israeli agent turned writer and lecturer, Abaddon Kafni, and the people he fought and the enemies he made and how it is connected to McIver. The stories in the first book recount those actions and set the stage for the actions of subsequent books taking place years later. Each of the four stories is separate onto itself but quite interesting and very important for setting the groundwork for things to come later. That later is the second book and it is a heckuva ride taking place in current time. The third book is again several stories but carrying on from the events told previously. These stories are again separate from each other but still very interesting and worth reading. The fourth book is another full-length novel about Declan McIver and his wife and his desire to keep his happiness alive while still doing what he feels is right. So, books #1 and #3 have Declan Mciver in them but they are more about the membership of Black Shuck. Books #2 and #4 are Declan McIver adventures. Declan McIver has managed to stay unnoticed by his old life as he enjoys a successful new one but that is now changing as the past comes in violently to eradicate a threat McIver poses against a secret group. Laying low in Ireland with his wife after the adventures told in Veil of Civility, Declan McIver is pulled into more trouble when his old friend and fellow Black Shuck member, Shane O'Reilly, now an MI-5 agent, is kidnapped and used as bait. First adventure in the Patriots & Tyrants collection. Abaddon Kafni, an agent for Mossad, is tasked with capturing an Iranian arms dealer. Second adventure in the Patriots & Tyrants collection. 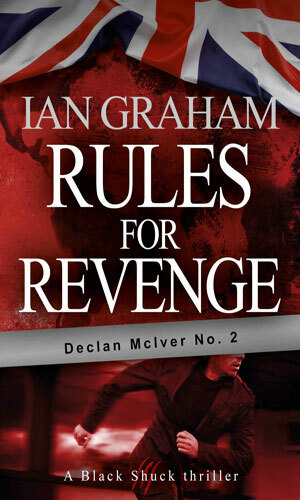 Declan McIver is out to stop a friend from being killed in Boston. Third adventure in the Patriots & Tyrants collection. Torrance "AU" Sands is given the assignment of assassinating a vicious cult leader. 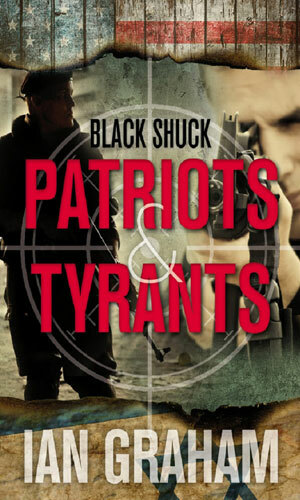 Fourth adventure in the Patriots & Tyrants collection. Russian troops are out to bring in a notorious Chechen terrorist involved in the bloody Beslan School Massacre. First adventure in the Signs of Violence collection. On the Queen's birthday, the IRA plans to explode a bomb, an action that can also cause the death of the woman Declan McIver loves. 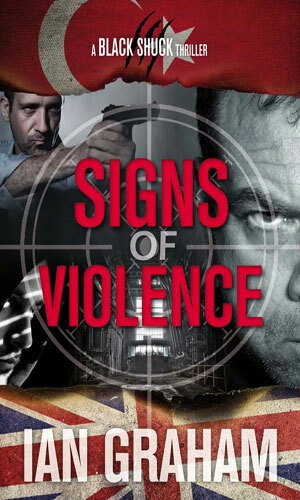 Second adventure in the Signs of Violence collection. Shane O'Reilly, an MI5 agent, is in peril as the IRA go after an informer. Third adventure in the Signs of Violence collection. A corporate yacht is seized by the Russian Coast Guard looking for something or someone, putting Tarun Singh in considerable danger. I really procrastinated on starting this series because I thought it was about the adventures of Black Shuck against the U.K. and I never like reading stories where the protagonists are terrorists. I WAS WRONG!! Okay, I admitted it. This is an exciting and well-written series and it makes a great deal of sense and is believable and really brings home the fact that in any struggle there are good guys on both sides doing bad things and there are bad guys on both sides doing even worse things and it can be tough to know who is who when the facts can be manipulated so easily. Declan McIver is a very good man. Some very nasty people, though, are terrific at controlling the media and McIver pays the price. However, backing McIver into a corner is not a smart thing to do as these nasty folks learn the hard way. There was a gap of several years between the third book and the fourth. I hope there is not such a gap before the next book. I really like Declan McIver.